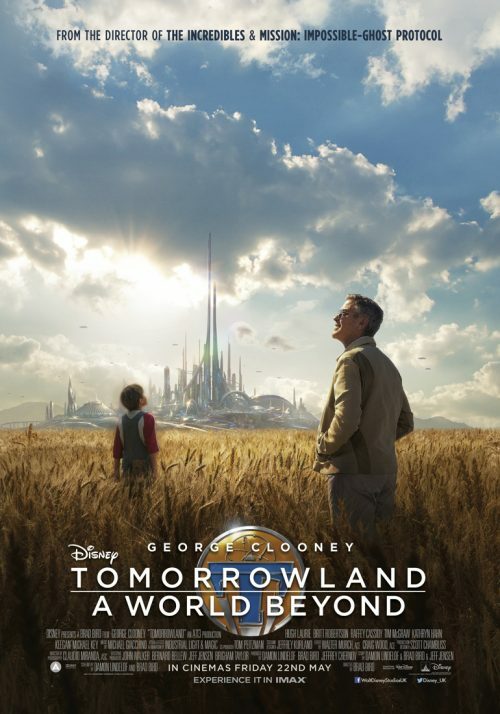 Tomorrowland is the upcoming George Clooney’s Disney science fiction film. I’ve managed to miss the earlier promotion for the film but with the below trailer, I am pleased to get hold of this trailer. It’s another one for this week to be classed as epic. The 3rd science fiction one after Fantastic Four and Batman Vs Superman. The second thing is the new poster for the film. This showing off the three elements that make up the film. The land of tomorrow and our two main characters. I’m not sure to call them heroes or not but they are being hunted in one world but not the other. Bound by a shared destiny, former boy-genius Frank, jaded by disillusionment, and Casey, a bright, optimistic teen bursting with scientific curiosity, embark on a danger-filled mission to unearth the secrets of an enigmatic place somewhere in time and space known only as “Tomorrowland.” What they must do there changes the world—and them—forever.